The legal spat dates back to Musk’s September 2018 tweet that he was looking to take Tesla private at $420 per share. That go-private bid did not work out, and resulted in two, $20 million settlements between both Tesla and Musk with the SEC. Musk also agreed to have his tweets monitored by a company employee, but Tesla has not disclosed who that “twitter sitter” is. That was fine, until Musk tweeted on February 19 that Tesla would make 500,000 cars in 2019 — a substantial deviation from what the company had told investors in its regulatory filings. 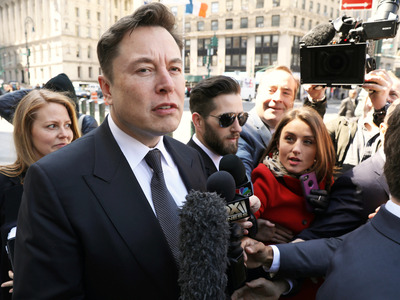 Musk’s lawyers have argued in subsequent filings that the SEC is overreaching in asking the court to find Musk in contempt. According to Musk’s attorneys, the SEC was attempting to expand the settlement’s scope to include any of Musk’s tweets about Tesla, regardless of their relevance to shareholders. “Such a broad prior restraint would violate the First Amendment,” Musk’s lawyers said. 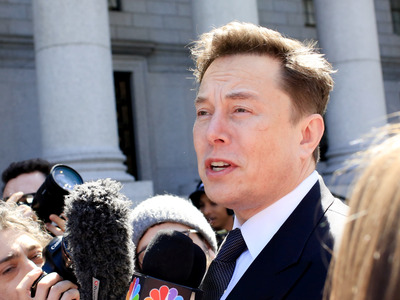 “I have great respect for the jugdes and the justice system, and I think that judges… the American system are outstanding,” Musk said on his way in, according to Reuters. Judge Alison Nathan took the bench at the hearing’s scheduled start time, according to Bloomberg. 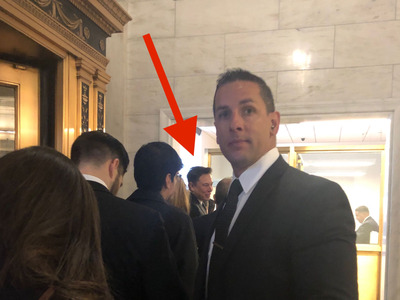 Each side — Musk and the SEC — will have 45 minutes for oral arguments. Cheryl Crumpton, representing the SEC, said “it’s become pretty clear over the course of the last few weeks” that Musk never intended to comply with the settlement. “Unless something is obviously immaterial it needs to get pre-approval,” she said in response to questions from the judge about what kind of tweets require pre-approval. “Tesla still appears to be unwilling to exercise any meaningful control over the conduct of its CEO,” she said. Next The company that owns the New Yorker and Vogue is bleeding money. A new CEO is supposed to turn things around.